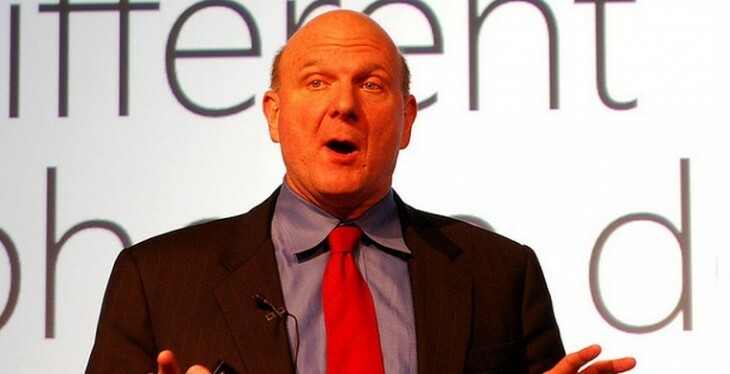 TNW has obtained copies of the internal memos sent by Microsoft CEO Steve Ballmer and departing CFO Peter Klein concerning the latter’s departure. That exit was announced as part of Microsoft’s quarterly earnings. Naturally, the news of Klein’s departure comes at a time in which Microsoft is undergoing a number of transitions, including revamping its core business model to focus on the sale of devices, and the delivery of services, instead of the vending of what we tend to lovingly call Software in a Box. Today in our earnings release, we announced that after nearly four years as CFO and 11 years at Microsoft, Peter Klein has decided to step down as CFO and leave Microsoft at the end of our current fiscal year. I will be naming a new CFO from our finance leadership team in the next several weeks. Peter has been a key part of my leadership team and a strong advisor to me during his tenure. He helped drive the successful Skype and Yammer acquisitions, has had a profound impact on the finance profession overall, and exhibited good oversight on cost controls as CFO. I have really enjoyed working with Peter, and appreciate his many contributions to the finance organization, to Microsoft and to me. I’m sure all of you have seen media coverage from the last two weeks. As I said in our earnings release, our long term bets on the cloud are paying off, and while the mobile device environment is challenging, the decisions we made with Windows 8 and Windows Phone 8 set us up well for long term growth. Highlights of our earnings are below. I encourage you to listen to our earnings webcast at 2:30 p.m. Pacific Time today at http://microsoft.com/investor. During the quarter, we launched the new Office, our enterprise cloud services continued to gain traction, and we continued to take market share in the data platform. In addition, Xbox maintained its share leadership position and Windows Phone continued to build sales momentum and high customer satisfaction. On Windows, the device market is clearly evolving as consumers and businesses increasingly shift their focus to touch and mobility. We are well positioned with Windows 8 to move into this new era of computing devices and need to continue to work hard with our partners to capture the device opportunity ahead of us. This letter is akin to the sort of answer any Microsoft spokesperson will be happy to deliver unto you if you ask about the performance of Windows 8, with extra candidness in one area: the difficulties that Microsoft faces in the mobile world. Interestingly, that phrase now implicates tablets more than phones; Windows Phone is enjoying its strongest performance to date at the moment, with the release of Windows Phone 8 driving it forward in terms of developer and consumer adoption. One noteworthy characteristic of Finance is the regularity of its rhythm – month end, quarter end, year end. Every one of those milestones marks the passage of time. And as time passes, and milestones are marked, we all periodically reflect on our lives, our goals, and our priorities. As we approach the end of the fiscal year, I have been reflecting in that way. And I have decided that now is a good time for me to step away from Microsoft and take some time to spend with my family in a way that I haven’t had the opportunity to do in the 30 years I have been working. This has not been an easy decision. I love Microsoft. I love my job. When I joined Microsoft 11 years ago I had this loosely held belief that people were one of the most important elements of any job or any company. I had no idea how profoundly true that is, but I do now. People are everything. Microsoft is the most amazing collection of talented, passionate and caring people I could ever imagine being associated with. It’s been an honor and my good fortune to have been part of that. I am proud of the work that Finance has done and the impact we have had on the Company. One reason that now is a good time to leave is that the organization is very strong, and I am delighted we will be naming an internal candidate. I couldn’t be more optimistic about both the Company’s and Finance’s future. Looking ahead, I have no specific plans. In the short term I will work to ensure a smooth transition. After that I intend to spend time with my extended family which is dispersed throughout the country and hopefully get to some long deferred travel. For the last 11 years Microsoft has been my family and now I am going to focus on my other family. Thanks for being such a great team – I will follow your success with great interest and pride. A well written exit note, if I may, though lacking in the humor of Groupon’s Andrew Mason when he left that firm. In fairness, by all measure Klein isn’t leaving with a shove, but instead with a wave. Microsoft’s earnings call kicks off in short order, so we’ll have more notes, and a deeper dive into Microsoft’s specific current financial performance in short order. Stay tuned. Read next: Bono on Apple: “…you cannot get people this smart to work this hard just for money"